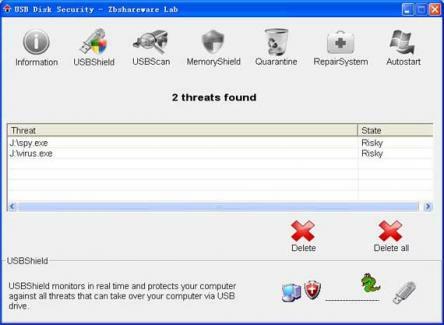 USB Disk Security is an advanced program that protects your computer against any type of threats that can damage your computer via USB drive. The software goes farther than other programs that only protect while your computer is in use, as this one will protect your computer even while you have it turned off. The program is very simple to use and is compatible with other antivirus software programs that you are now using. All upgrades and updates are done without extra cost or effort so you can rest assured that your computer will be safe from malicious programs. - Supports iPod, removable storage, thumb drive, pen drive, secure digital card, USB drive, and flash drive, to name a few.